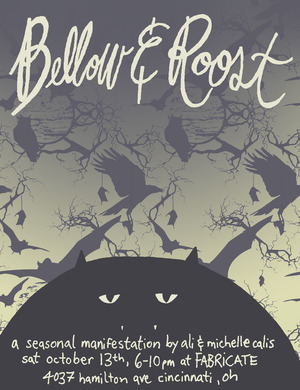 Bellow & Roost: A Seasonal Manifestation is a collaborative effort by Ali and Michelle Calis to celebrate the magic and mystery of the autumnal season; when the living goes dormant, the air turns crispy, and the skies grey. With a rustic unorthodox technique, they muster up the enchantment of all those little creatures that tend to send tiny chills down your spine, and pair them with quaint but curious patterning to trick the eye. began creating an assortment of large scale installations throughout the city that were made solely from salvaged lumber. Meanwhile, Michelle worked towards melding the unconventional nature of art with the sometimes painful normalcy of designing interior spaces, and attempted to create an atypical product. Finding herself especially inspired by the effects of textiles and color, she began to create and incorporate custom patterns into her work. The transition towards collaborating was a natural one for the couple. These days when found working together, he serves up the meat and she adds a dash of sweet. Please join us on October 13th from 6 p.m.-10p.m. 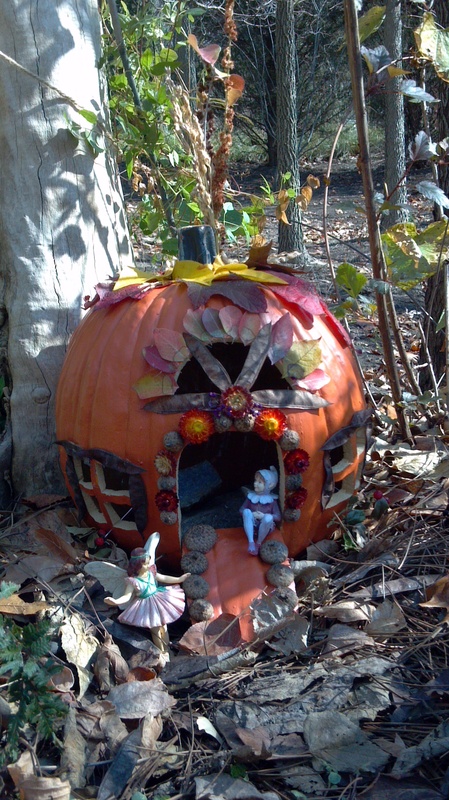 for the opening night of this spooky-sweet, husband + wife collaboration as you hop around Northside for the October edition of Northside Second Saturdays!